In this tutorial you will learn the way to customize a MailChimp form in CherryFramework 4 based templates. NOTE: You should have the set up MailChimp plugin in your admin panel in order to access its settings and forms. 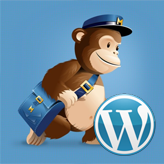 In your WordPress admin panel navigate to the MailChimp for WP -> Forms menu. Select the required list of subscribers for the Lists this form subscribes to option. Don’t forget to save the changes. Then you can preview the changes on your page/post. Here you can switch between embedded forms styles and modify other form settings. The customized form code you should copy/paste into the required place of a post or page Text content editor. 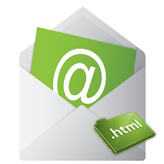 The following tutorial will help you to embed a MailChimp form to your site: CherryFramework 4. How to embed a MailChimp form to the required place on the page/post. 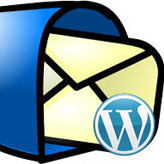 More information about MailChimp configuration can be found via the following link. This is the end of the tutorial. Now you know how to customize a MailChimp form in Cherry Framework 4 based templates. This entry was posted in Monstroid Tutorials, WordPress Tutorials and tagged CherryFramework4, form, Mailchimp. Bookmark the permalink.